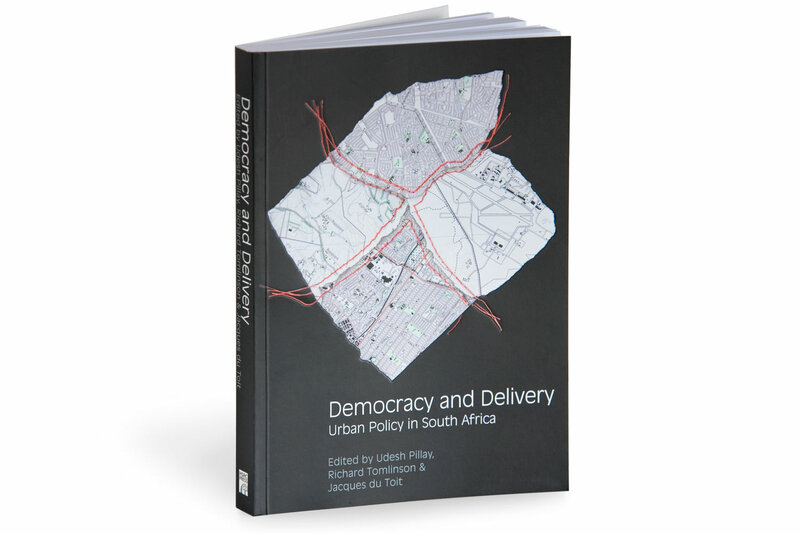 Democracy and Delivery: Urban Policy in South Africa tells the story of urban policy and its formulation in South Africa. Elsabe Gelderblom stitched together sections of old maps and photographed the collage. The cover of the book was also embossed to pick up on the stitching motif.